North Carolina legislative leaders announced last week that they will soon form a joint committee to bash the Affordable Care Act. Speaker Thom Tillis and Senate Leader Phil Berger stated in a joint press release that the purpose of the commission is to “delve deeply” into the problems caused by Obamacare. The unstated reason for the probe is to create a forum for attacking Sen. Kay Hagan, who Tillis is challenging in this year’s Senate race. It is important for Tillis to distract the public from the unpopular policies his chamber enacted in the last few legislative sessions. But these hearings on health reform are unlikely to mention the damaging decisions made by the state during implementation of the Affordable Care Act. Again and again lawmakers tried to gauge the political winds and folded to the most extreme voices in their party. Again and again their actions made health insurance less accessible and more expensive. This tendency is best exhibited by the vote to block a state-based health insurance exchange in North Carolina. Under health reform the state had the option of running its own online marketplace to sell insurance policies and provide premium tax credits. 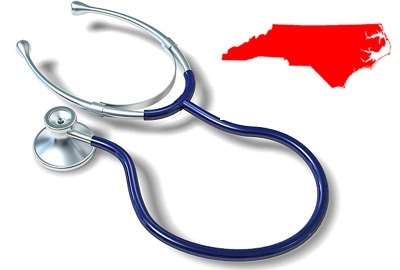 Nearly every health care stakeholder – the Chamber, insurance agents and brokers, insurance companies, doctors, hospitals, nurses, consumer groups – endorsed the idea of North Carolina maintaining control of its market. In 2011 Tillis agreed and allowed a bill establishing a state exchange to sail through the House. Nearly every Republican voted in favor of the legislation. The idea eventually died in the Senate. Groups funded by the Koch brothers and the Pope family felt that even if taking over the exchange would be better for consumers, total resistance to reform would better serve their ultimate goal of defeating President Obama and repealing the Affordable Care Act. So, in the 2012 elections, tea partiers across the state criticized Republicans for not turning over our marketplace to the federal government. That inspired the legislature, at the start of the 2013 session, to pass a new bill rejecting a state marketplace and turning back federal funds to provide Medicaid coverage for 500,000 low-income North Carolinians. This legislation took about two weeks to move through both chambers. And the Republicans who once supported a state marketplace reversed themselves. Relinquishing control of our exchange has had many critical consequences. You aren’t likely to hear about these impacts from the new joint committee at the General Assembly. So I will enumerate them here. 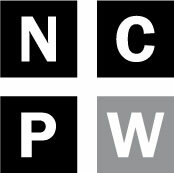 Before the legislature convened in 2013 the federal government awarded the state $74 million to ensure that North Carolina could improve its information technology infrastructure, hire hundreds of outreach workers to help people enroll in insurance, and establish a toll free hotline to answer questions about the Affordable Care Act. When state representatives refused to implement a state exchange they also sent this money back to Washington. Also, in states that established state exchanges there is more competition and lower prices. In North Carolina only two insurers are offering subsidized plans, Blue Cross and Blue Shield and Coventry. This contrasts with Kentucky where five insurance companies are writing plans, Idaho, which has four competitors, and Colorado, where consumers can choose from 10 insurance issuers. We also see that the average weighted premium for the lowest cost silver plan in Idaho is $276 per month and in Colorado is $305 per month. In North Carolina the cost of a comparable plan is $361 per month. Despite these poor decisions by the legislature North Carolinians are still signing up for Affordable Care Act plans in large numbers. The only states with more people enrolling in insurance through the new marketplace are four regions with larger populations: Florida, New York, Texas, and California. Again, state politicians are not likely to mention these facts during the Obamacare committee meetings. Speaker Tillis wants a political promotion, and as vulnerable North Carolinians have learned, he won’t let anything stand in his way.